The emergence of gay & lesbian media is a somewhat recent phenomenon of the past 30 years. Starting with small garage operations bringing information to a more underground gay community via local newsletters, the gay media marketplace has grown to include very well established print publications, both regionally and nationally. For readers, access to these publications has typically been reserved for those living in one of several "gay communities" across the US and around the world, including the famous "Castro" of San Francisco and "The Village" in New York City. Even the national publications have had a limit to their overall reach, gaining ground in chain bookstores such as Borders and Barnes & Noble, only reaching an average of 50,000 to 100,000 per publication. During this time, gay events such as Pride Festivals and Circuit Parties began to grow in popularity, and for many companies had become the primary means in which to reach gays & lesbians directly. Like publications, however, these successful events have been typically for those areas where gay communities are strongest. But over the years, regions in some of the more rural areas have seen a rise in gay pride festivals, albeit still small events compared to those held in some of the more major gay urban areas. 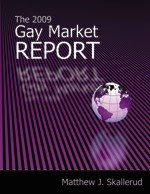 Even today, these events, coupled with events such as the Gay Life and Gay Entertainment Expos held in New York, as well as niche events such as Gay Travel Expos, have become a mainstay for many companies wishing to reach the gay & lesbian market on a consistent basis. In 1995, the rise of the gay & lesbian Internet brought new opportunities and new ways in which to reach gays & lesbians, wherever they may be. Major sites emerged which, over the years, have enabled companies to reach millions instead of thousands of gays & lesbians. In addition, smaller, more niche-oriented sites developed within the gay online community, succeeding in a business environment which may not have supported a full print publication, but could definitely support a smaller-overhead Internet company. These niche sites, coupled with the reach of the larger gay & lesbian sites, have allowed companies to more accurately target gays & lesbians in ways that were previously unheard of when the Internet first came on the scene in 1995. Riding the trend of marketers away from mass media in general and towards reaching a smaller, more defined demographic, Internet sites have proven a strong and growing part of many companies' marketing efforts. In addition, sites that have developed an opt-in mailing list as well as simply an e-mail list have been able to realize even stronger growth, as marketers have learned that the same "selects" based on zip codes, household income, education and more are equally available for both direct mail and e-mail lists derived from Internet sites. 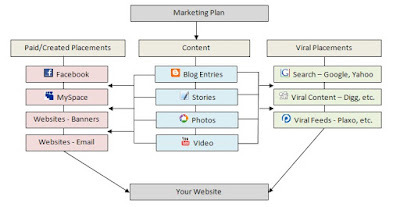 In addition to the continued rise of niche-oriented Internet marketing, via standard banner and e-mail advertising, the world of blogs and social networking opportunities are the hot new growth areas of today. Some of the GLBT blogs like Towleroad.com and OhLaLaMag.com give established GLBT community websites a run for their money, outperforming them on unique visitors, page views and repeat visits time and time again. Social networking in all of its forms, from MySpace to Facebook to niche sites such as Glee.com and DList.com are also becoming online destinations which continually keep their visitors entertained, sometimes for hours. Gay television networks are the business leaders of the GLBT market today. here! TV and Logo have both independently acquired a variety of print and Internet media properties including the Advocate and Out Magazines and GayWired.com for here! TV and 365Gay.com, AfterEllen.com and Downelink.com for Logo. A few years back it was PlanetOut Partners doing the acquisitions, but times have changed, and between niche cable and satellite TV, along with social networking and blogs, the eyeballs and advertising dollars are taking a distinct shift as companies learn to move from “advertising to” consumers to “speaking with” consumers, a fundamental shift which will continue on for years to come.